How many times have you wished there was a "dislike" button in Twitter? 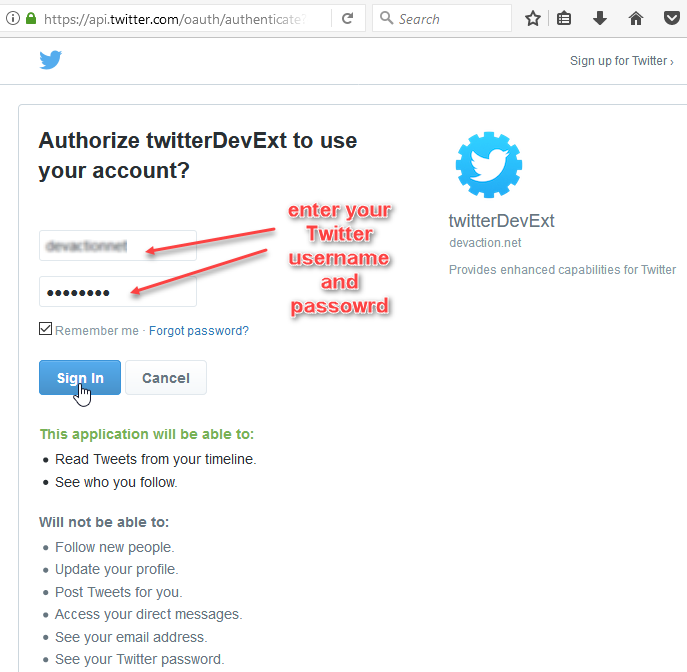 (and probably also in any other social network, but I will focus on Twitter in this post). And I am not referring to this dislike button which is not what you want, since it is just a way to tell Twitter (and no one else) that you would not like to see similar tweets on your feed in the future. 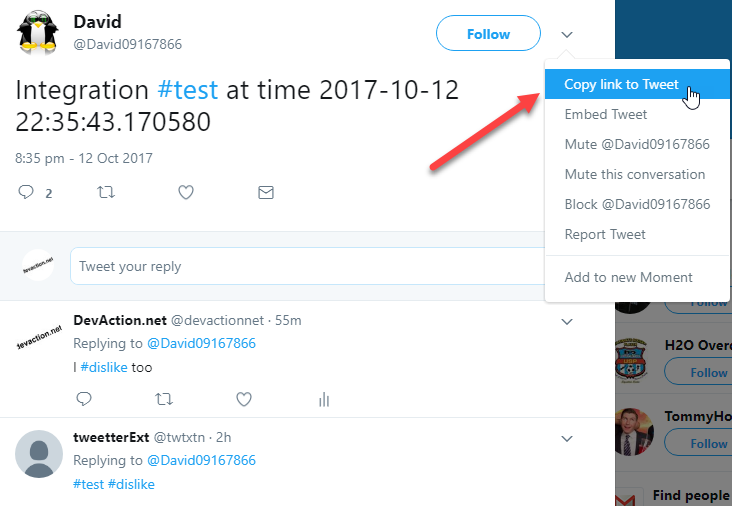 So until Twitter decides to add this highly demanded feature (i.e., a real dislike button), I have come up with a way to dislike a tweet and make it count, so you can share your dislikeness with everybody and your dislikes can be aggregated with other Twitter users' dislikes. 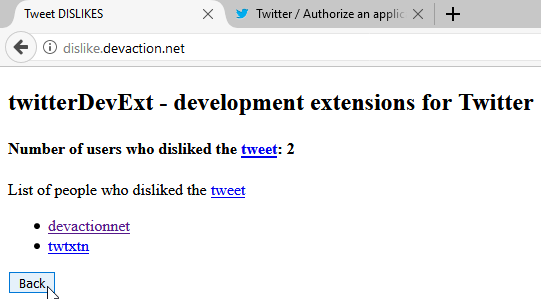 All you need to do in order to dislike a tweet is to use the hashtag #dislike or just #dl for short, when replying to the tweet which you dislike. That's it, so simple! 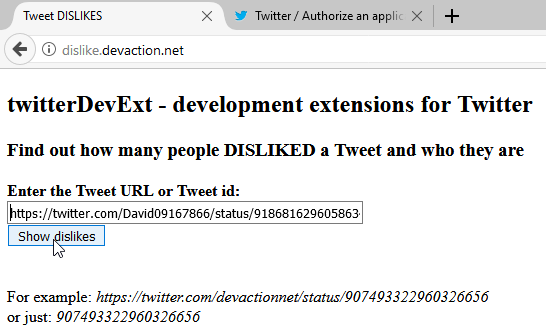 But it would be very annoying if you had to manually go through all the "#dislike" or "#dl" hashtags replied to a tweet in order to know how many people dislikes it and who they are, so this is where my small and simple dislike.devaction.net web app comes into play. 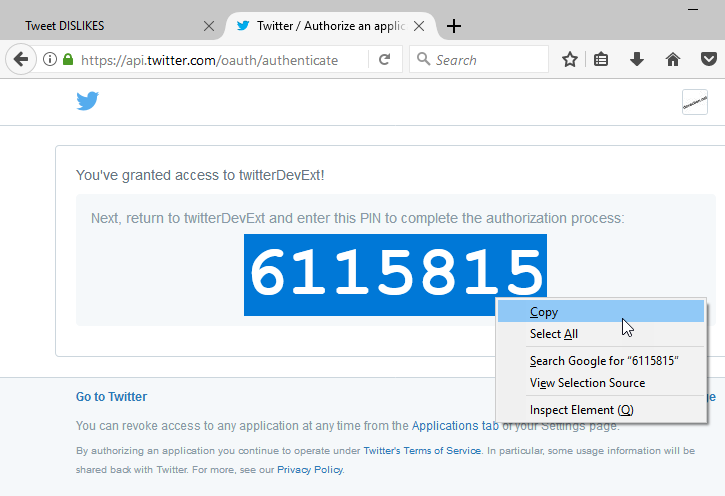 Please note that we just need this in order to obtain a PIN to be able to look for dislikes in Twitter, it will not authorize the app to post tweets on your behalf and it will not even read your tweets. 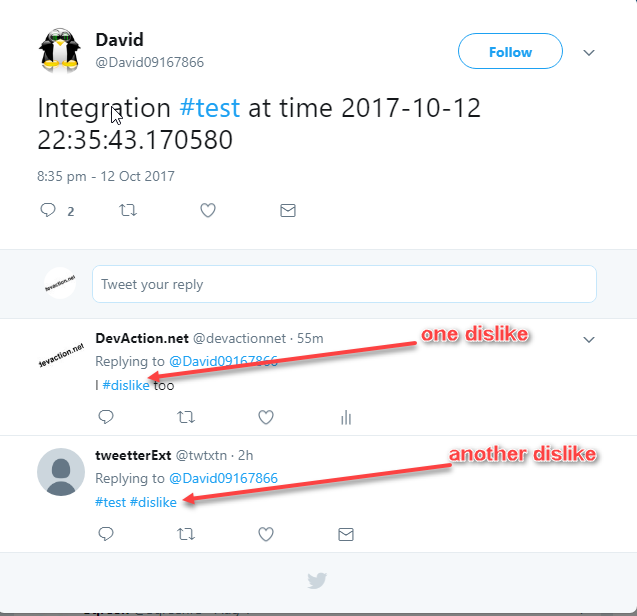 Finally, you will get the number of Twitter users which disliked the tweet (just two in this example), and also who they are!